This Branch is one of eight formal branches within the world-wide Clan Macpherson Association (CMA). Our major purpose here in the US Branch is to introduce everyone to the Clan and to its purposes as stated on the Welcome Page of this website. 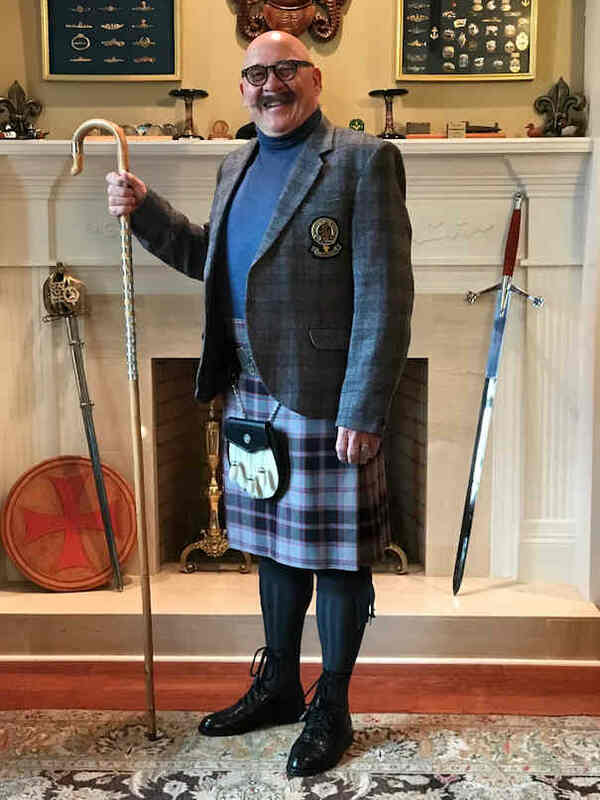 We accomplish this chiefly by attending events and hosting a Clan Macpherson tent site at Highland Games, at Celtic Fairs, and at other venues across the country. The Branch hosts an annual Highland Ball and Annual General Meeting (AGM), at which we get together to conduct business, renew friendships and to welcome new members from across the country. At this writing, we are approximately 800 members strong. If you are not a member, we certainly encourage you to consider joining! One of the helpful highlights of these web pages is the US Branch Calendar. Here you will find special Clan events and schedules from around the country. You may wish to attend some of these events. The calendar is continuously updated, so please check it frequently. Regarding the Gatherings, you may wish to attend the Annual Gathering in Scotland as well as attending the US Branch Gathering. The Annual Gathering in Scotland is held every year during the first full weekend in August. Our own US Branch Annual Gathering occurs at varying times each Fall, with this year’s US Gathering being the second weekend in October in Dunedin, Florida. Registration information for the two Gatherings can be found on these pages, and will include registration instructions, hotel choices, and local information of interest. We do hope you can make it, as it will be a great time with lots of fun. Clan Macpherson has had an exciting and eventful history, from ancient times to the Battle of Culloden to the signing of the Clan Chattan Confederation. We have a wonderful Museum in Newtonmore and we encourage you to visit it to learn about your ancestors. We encourage you to further investigate your lineage and family history and become a member of the US Branch. Several of our members have completed extensive research on their lineage and are willing to assist you in your search. Membership in the Branch will put you in touch with a rich history of a Clan that prides itself in maintaining its history, folklore, literature, music, treasures, and traditions. If we can assist you, please contact me or any of the Officers of the US Branch, using contact information located on the Officers’ page. Thank you for visiting the US Branch pages, and welcome!